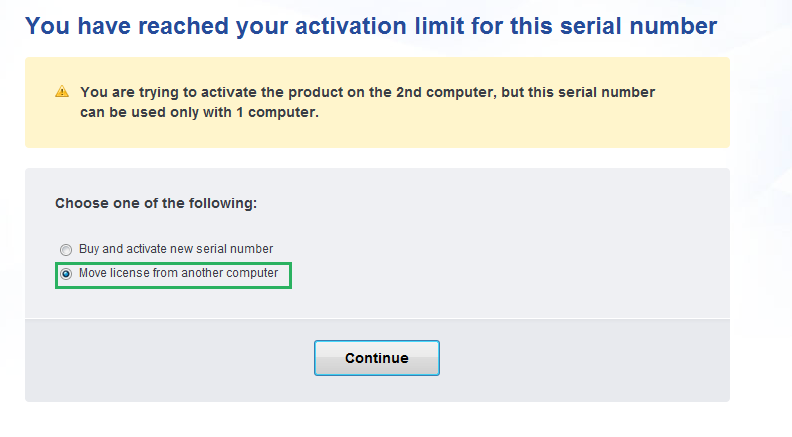 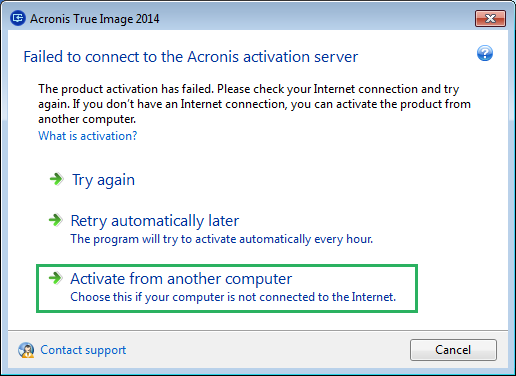 The reactivation process depends on whether the new machine is connected to the Internet or not. 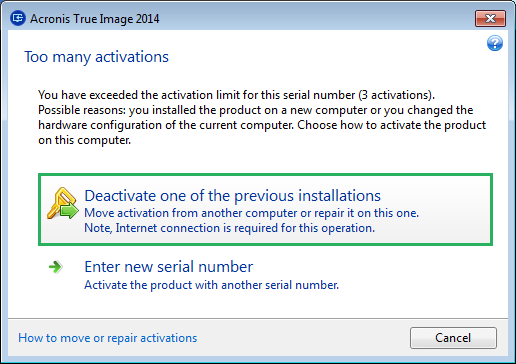 Restart the product on your new computer to apply changes. 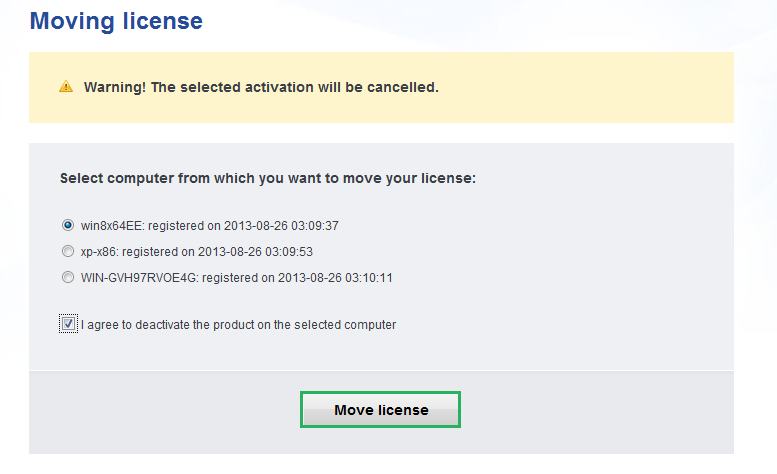 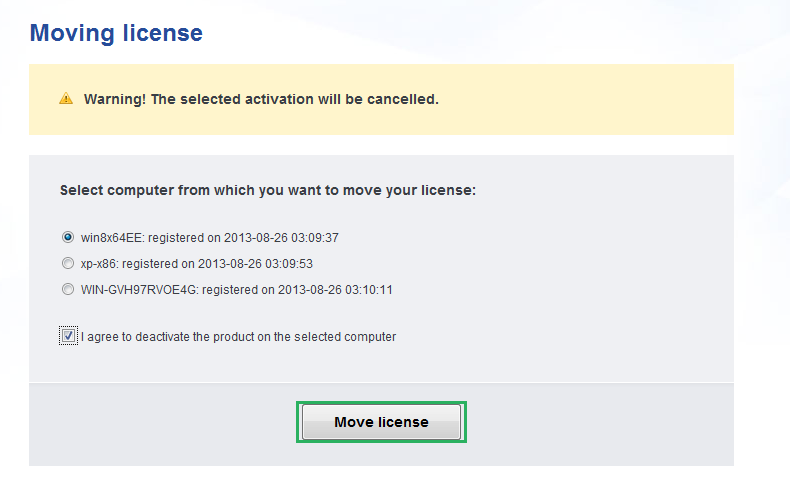 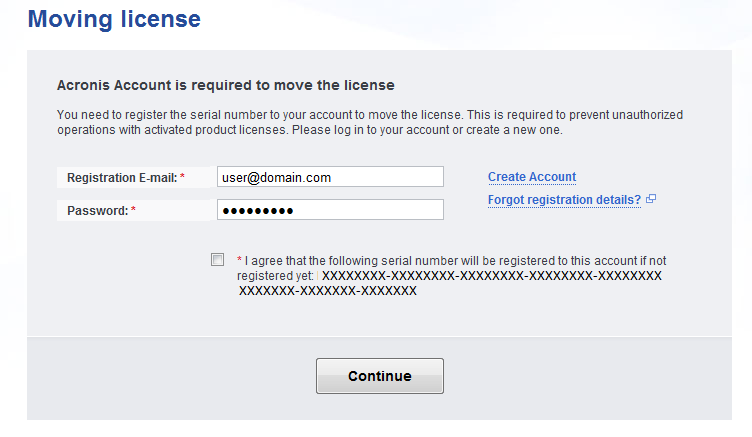 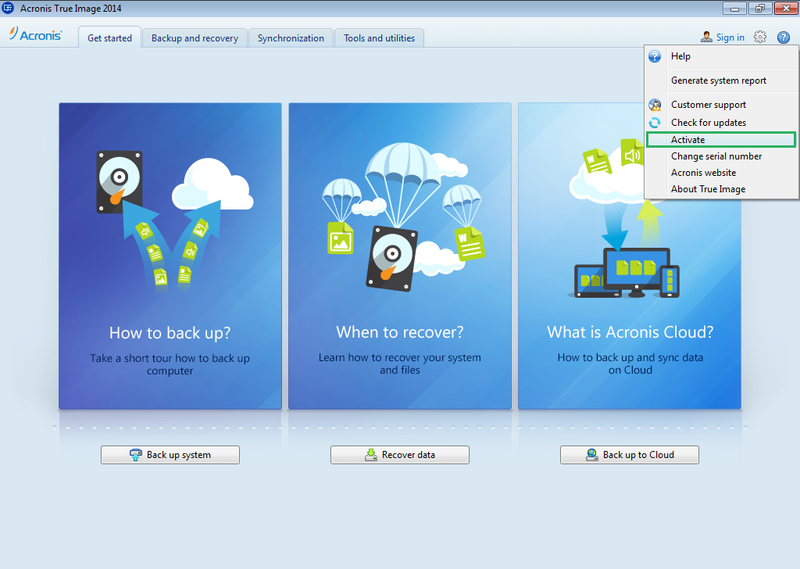 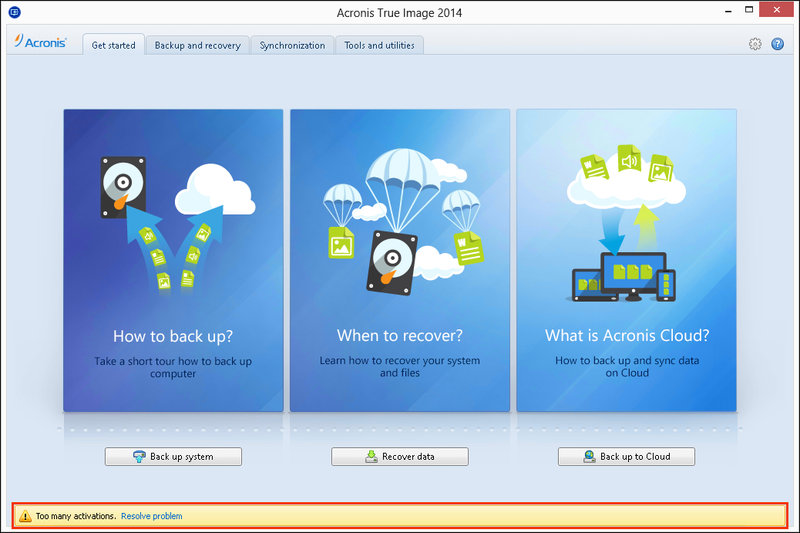 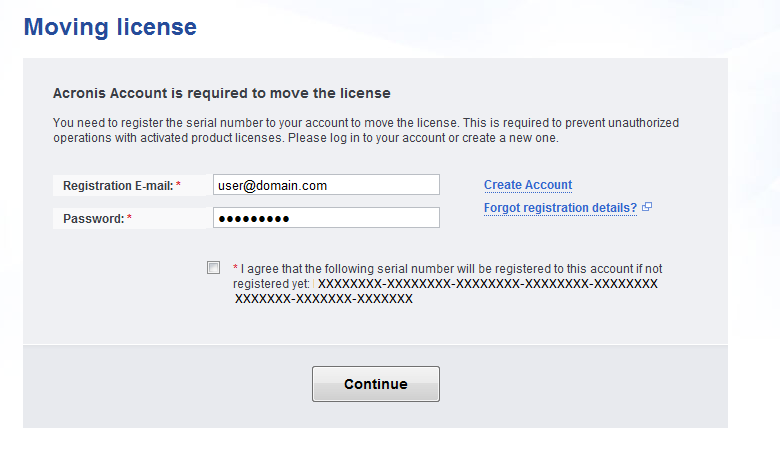 If instructions above do not help and you are still experiencing issues with license activation/transfer, contact Acronis Customer Central with step-by-step screen shots of your actions.